🐈 They are all around us. Some like animals more than others. Some give them their rights more than others. But what does Islam say about how to treat the various animals including the controversial ones like dogs, snakes and pigs? 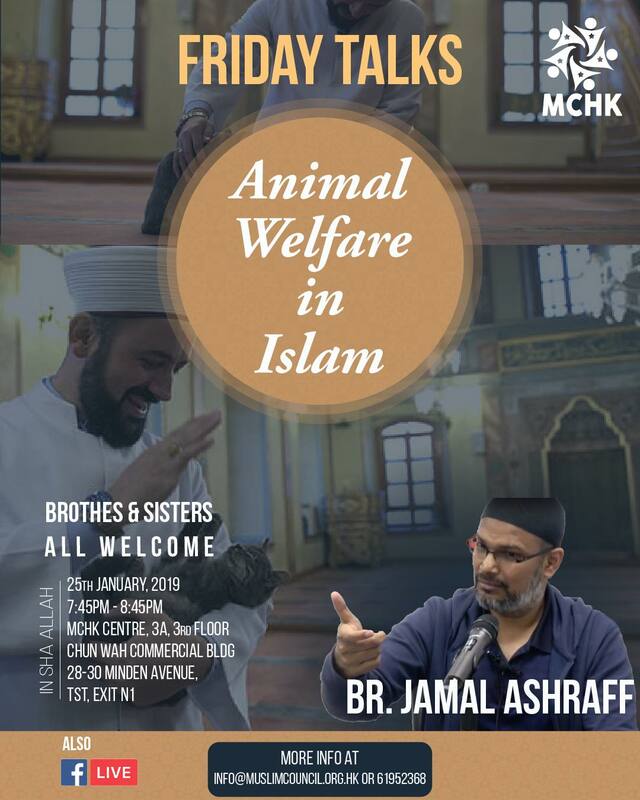 🗣 Muslim Council of Hong Kong meowingly invites you all to attend this educational talk in order to learn about a topic which is rarely touched upon yet our entry to paradise or hell may be determined on this. 👤 Brother Jamal Ashraff is an articulate speaker and an advent student of knowledge who has conducted a number of talks including interfaith dialogues over a number of years. ❝They (Animals) are groups like you in that Allah the Exalted has created them, provides for them, and makes justice between them.